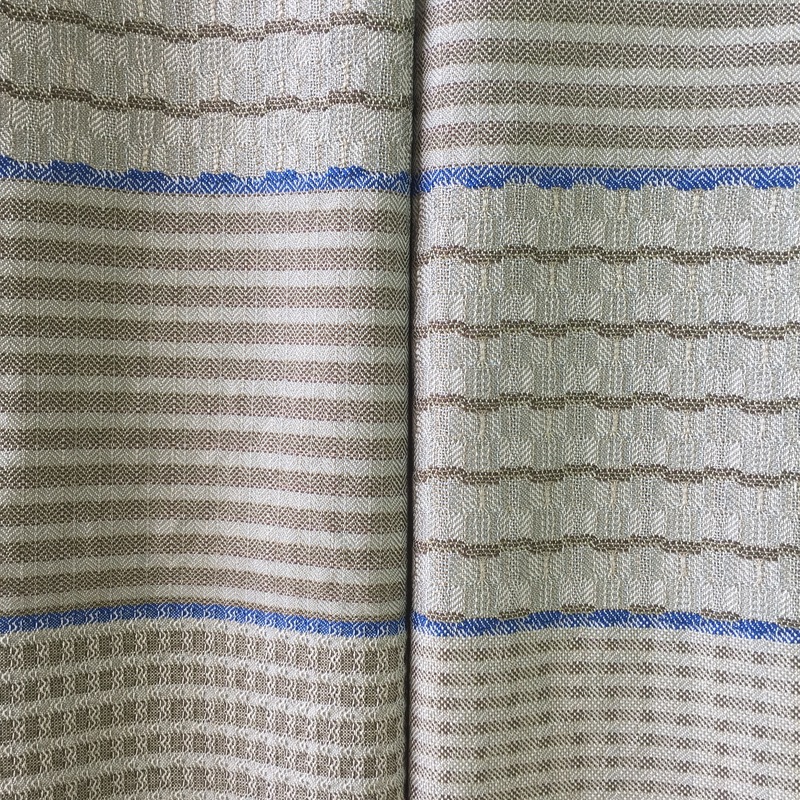 Beautiful and functional, 100% cotton tea towels. These engineered patterns are truly special and get better with use. That’s what you get when you weave with the best yarns and weave structures. Sold in sets of four: two of each. Shown here in Ecru/Khaki/Brown/Blue.